As a car crash attorney, I represent children (and their families) who are injured in Illinois and Missouri car crashes. These are some of the toughest cases for me. As a parent, I understand how painful it is to watch your child suffer in any way. With car crash injuries, the parents not only have to see their child in pain, but also know that the crash was likely preventable had the at-fault driver followed the rules of the road. For this reason, I always remind my clients and colleagues that these are not car “accidents”, they are car “crashes”. When a safety rule is broken, it is no accident at all. But car crashes aren’t the only way children are injured by cars. We have heard the recent stories of cars being stolen with children in them. Unfortunately, even with such scary stories, kids are still being left in cars. More and more, we are hearing about children dying after being left in hot cars. According to the Huffington Post, 37 children die each year from being left in a hot vehicle. Thus far in 2016, 16 children left in cars have died from heatstroke in the United States. These news stories are so hard to hear for several reasons. First, it is horrific when a young life is cut short. Second, I can’t imagine the pain and guilt of the parent(s). Every time I read one of these stories, I have absolutely no doubt that these parents did not intentionally leave the child in the car. This is very different from a careless driver purposefully breaking a safety rule. As a working mother, I can recall the sleep deprived mornings where I was driving my child to day care before heading off to work. I can remember several occasions where I was thinking about work or something else and making a wrong turn, or driving right by the day care. I know how easy it can be to be absent-minded as a new parent juggling so many responsibilities. Recently, I heard a discussion about whether or not it should be illegal to leave a child in the car. In Missouri, there is really no such law. Specifically, in Missouri, it is only a violation of the law to leave a child in a car if that child then causes a car crash. In Illinois, there is already such a law. 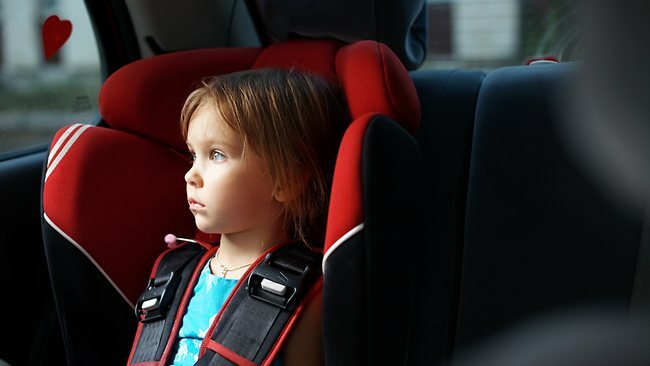 Specifically, according to 720 ILCS 5/12-21.6 “Endangering the life or health of a child”, there is a rebuttable presumption that a person violated the law if he/she leaves a child younger than 6 years unattended in a motor vehicle for more than 10 minutes. You can review all state laws on this issue here. Some people are calling for tougher laws. It doesn’t take long for a car to become hot enough to kill. A child can certainly be seriously injured, if not killed, if left in a hot car for 10 minutes. You can learn about what happens to the child’s brain in a hot car here. Some car manufacturers are developing built in vehicle systems to remind parents about children in the car. Also, some child seat manufacturers are developing similar systems built into the car seats themselves. It is going to take several systems to help with this epidemic. We need to make it a commonly known safety rule to take the time to check for children in our car before we walk away. “Look before you lock” is a fairly new campaign designed to get parents thinking about checking the backseat before walking away from the vehicle. The more we talk about it, the more awareness there is and the more likely it is that a solution will be developed. To learn more about Lindsay, visit her bio page.